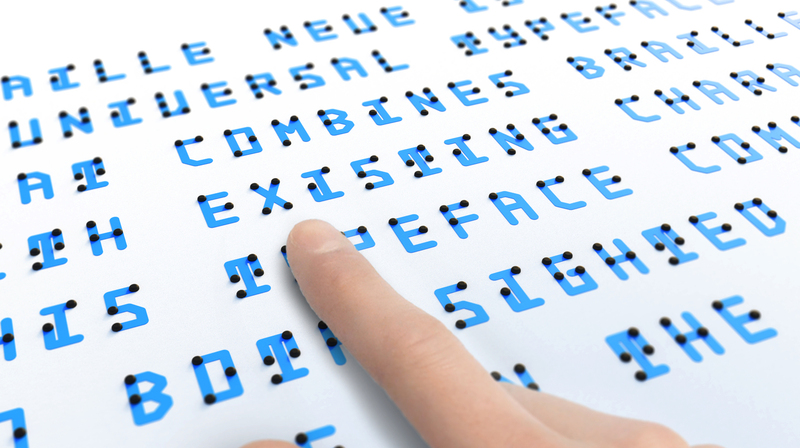 Braille Neue is a universal typeface that combines braille with existing characters. Created by Japanese designer Kosuke Takahashi, this typeface communicates to both the sighted and blind people in the same space. Braille Neue consists of two typesets – Braille Neue Standard which is for English alphabet and Braille Neue Outline which is for Japanese and English. Our aim is to use this universal typeset for Tokyo Olympics and Paralympics 2020 to create a truly universal space where anyone can access information. Currently, we rarely see braille implemented in the public space since it takes additional space and sighted people consider it not important. 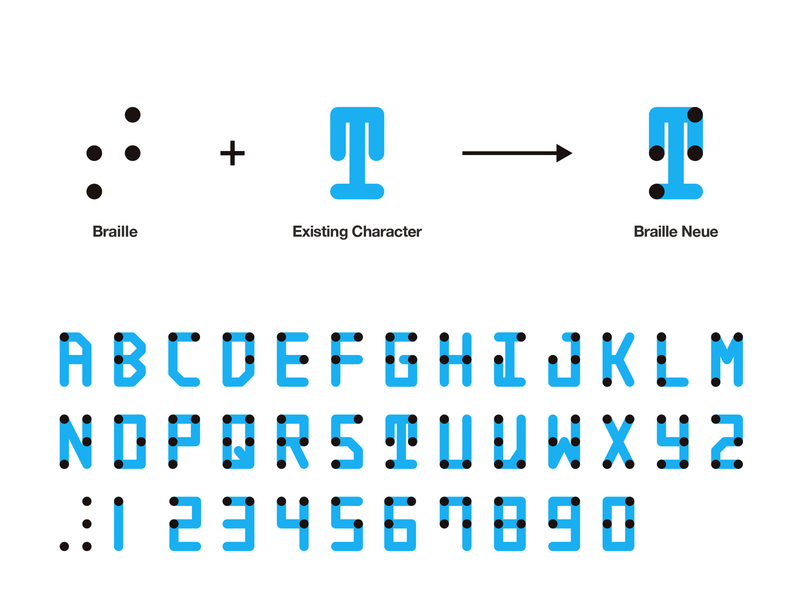 Braille Neue addresses this issue by making braille easy to use for sighted people. By spreading this typeset I believe more people will get acquainted with braille. I also conducted a research to see if large signage with braille was readable for blind people.Through the research, I found out that as long as there is the 6 dotted pattern, it is possible for them to read it regardless of its size. Braille tends to be small and invisible, but with Braille Neue it has the possibility to expand spatially into public signages in new ways. 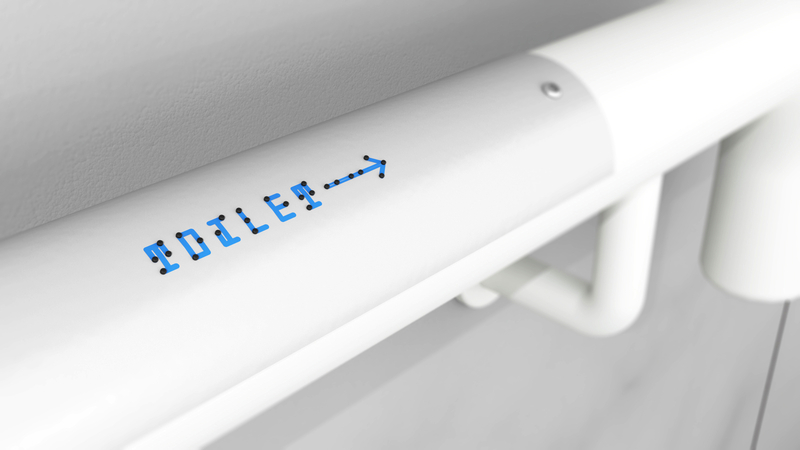 With Braille Neue, it is also possible to overwrite existing signage in public space by adjusting the kerning. It is easy to implement into the existing infrastructure and is a stepping stone for a sustainable and inclusive future. 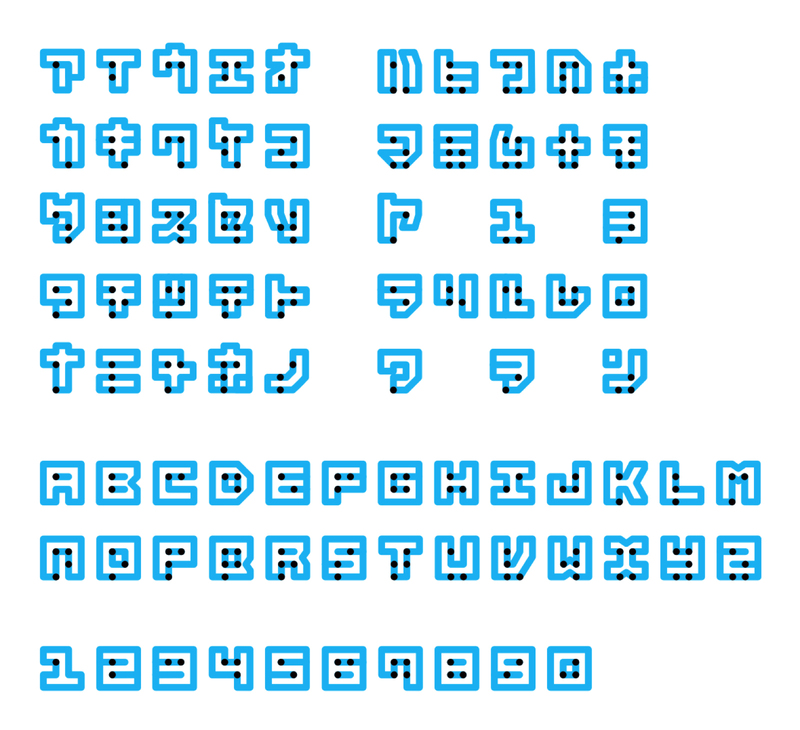 In latin alphabets, attempts to combine braille with existing characters have been made by various designers all over the world. In this project, we designed a typeset that correspond not only to latin alphabets but also to Japanese fonts. 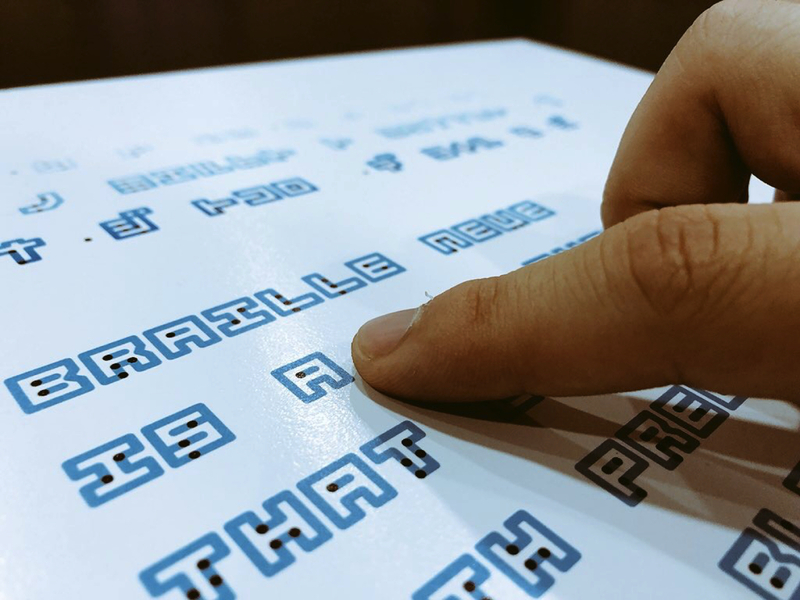 Through the contribution of increasing the variation of typeface that combine braille with existing characters and thinking about it’s implementations, we aim for an inclusive society where using braille becomes commonplace.